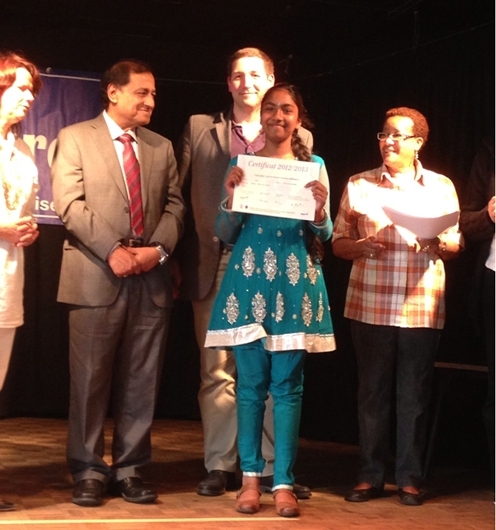 Ambassador Karunaratne Hangawatte was the chief guest at the annual prize-giving ceremony of a school attended primarily by Tamil speaking children organized by the association Lien et Cultures (Links and Cultures) in collaboration with the Mairie (Town Council) of the Paris Suburb of Bondy on Saturday 29th June 2013. 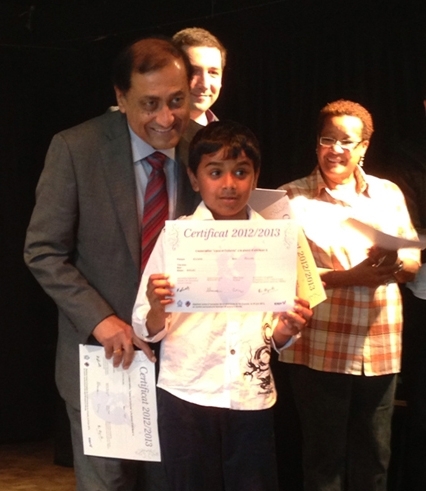 Many children of Tamil Diaspora received certificates of achievement from Ambassador Hangawatte and Mrs. Sylvine Thomassin, Mayor of Bondy. Lien et Cultures created in 2008 and headed by Mr. Sivananthan Rajendram, aims at creating closer ties within the Tamil Diaspora community based in Bondy through language learning and dance. A staff of many dedicated teachers provides language classes in French, English and Tamil for students of all ages, children and adults alike. This school uses Tamil text books issued by the Government of Sri Lanka and offers traditional South Indian Bharatha Natyam dance classes to all its students. Mrs. Sylvine Thomassin, Mr. Sivananthan Rajendram, President of the Association Liens et Cultures, municipal counselor Mrs. Lilawtee Rajendram and many Town Council members were present at the event. The attendees were entertained by colorful and skillfully presented Bharatha Natyam dance performances by the students of Lien et Cultures.